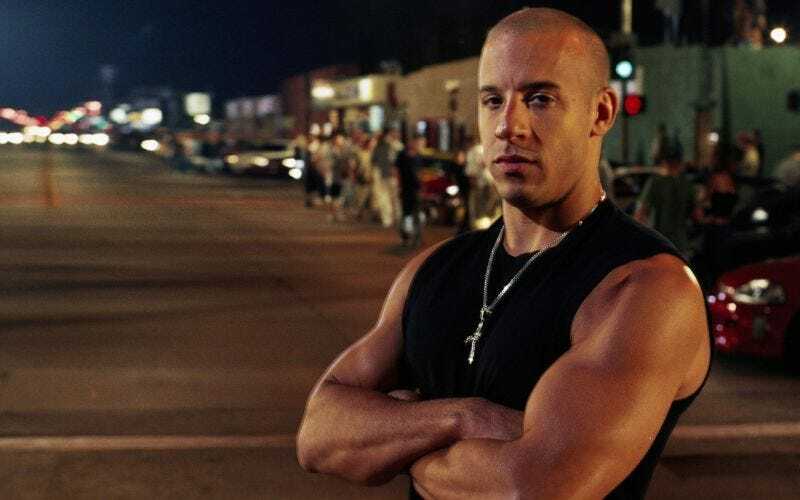 The 15th anniversary of the original Fast & Furious movie reveals how far the series has morphed from street racing to crazy international heists, but the first film had its roots planted firmly in the very real and very illegal culture of underground racing. Specifically, the racing culture that dominated the Uptown Manhattan streets in the 1990s that a VIBE magazine article called “Racer X” brought to light. VIBE’s 1998 story is one of the things that inspired the movie, and it’s very much worth a read nearly 20 years later. A black Nissan 300ZX and a white Mitsubishi Starion pull out of the pack and creep up to the starting line. As the sun dances on the nearby river, the sound of honking horns and screaming drivers is drowned out by the sonic blast of the two engines revving for takeoff. A stocky Latino dude in a blinding yellow shirt stands in the middle of the highway and raises his hands. Both cars lurch and halt like chained pit bulls, their wheels spitting out black smoke. The hands drop. Estevez, who was 30 at the time, was considered a leader in the growing mass of speed addicts who got their fix on the darkened expanses of streets and racetracks around Manhattan. These weren’t the places that the Chevy and Mustang crowd hung out, either. This was the place where you’d find Japanese cars, festooned with parts stickers and boosted to hell—the height of the “import” scene. Estevez carried himself with a certain swagger that made him seem larger than life. “Drag racing is war,” he explained. “If you bring a knife, and I bring a machine gun, you’re dead. That’s it.” An avid follower of TV’s The Dukes of Hazzard, Estevez found inspiration in the stunts and perpetual evasion of the cops. He dropped out of school at 16 in order to pursue cars without any distractions. He worked in various garages. He got good at what he loved. He was fast. Sound familiar? Of course, this kind of racing wasn’t going to escape the notice of the local police for long. And the drivers realized illegal street racing could only take them so far. This is where Estevez’s story splits off from the Fast and the Furious plot. The result was Drag Wars: The Tristate’s First Import Street Drag, held at the Atco Raceway in New Jersey. It was a legal and sanctioned event. Sponsors like Penzoil and HKS U.S.A. were there. Magazines like Turbo and Super Street covered it. Thousand of people showed up. Which makes this vastly different from the Race Wars in the film. Even if (and it’s a very strong if there) Race Wars was a sanctioned event, it was a very badly sanctioned one. Was anyone wearing helmets? Fire suits? Proper safety equipment? It didn’t seem that way; it was just Johnny Tran hating on people and taking their pink slips. Back at Estevez’s tent, auto industry reps and reporters line up to shakes his hand. Lucrative endorsement deals will pay for the pricey car parts he needs to follow the race circuits up and down the eastern seaboard; and maybe, if Estevez is lucky, he’ll head to Cali, where the big boys will be waiting to take a crack at him. It’s the first glimmer of a legal career in the growing, adrenaline-charged sport of import drag racing. And it’s making him misty-eyed today. “I said I would do it, and then I did it,” Estevez says proudly. This is, and will be, the eventuality of all underground races of any kind, unless they die out or are stopped by the police first. It may look glamorous in the movies, but the real-life consequences are too much to bear. You can read the full VIBE story here. It’s worth it.